I suppose we shouldn't be surprised: the airmail tariff (Worldwide letters 20-100g) was not increased this year so perhaps it is not so surprising that a reprint would be needed at some time. What is more surprising is that it occurred while the equivalent Christmas stamps were on sale, so perhaps not enough of those were printed, or customers wanted the definitive. The question that this raises, is whether any of the other airmail rate stamps will also need reprints? 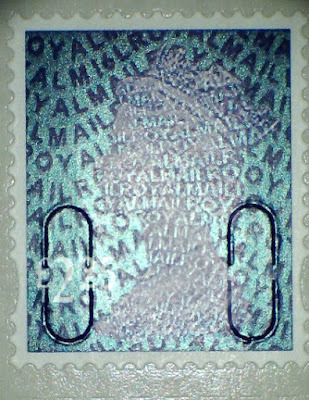 Royal Mail produced them to cover the Large Letter rates of £2.45, £3.15 and £3.30 and the 20-100g Europe rate of £1.52. The latter ought to be a good candidate even if most mailpieces needing these stamps are sent from Post Office branches have Horizon labels or Open Value Post and Go stamps from self service kiosks. 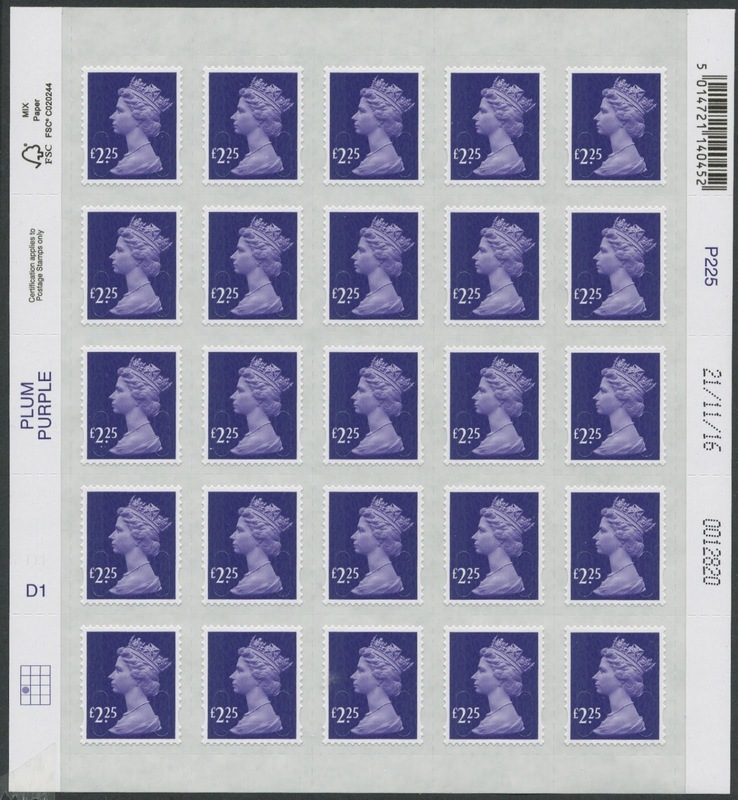 Another new printing just received is the 2nd class Large counter sheet, printed on 12/10/16. Date blocks of these are also available from our webshop. Query on the new printings (£2.25 and 2nd Large counter) - Do these have Security backed paper?